Since it’s almost Christmas we decided to write a post about the famous little creatures from the Greek folk history called ” kallikantzaroi’. These alleged malevolent creatures are believed to dwell underground but come to the surface during the twelve days of Christmas, from 25 December to 6 January (from the winter solstice for a fortnight during which time the sun ceases its seasonal movement). There is no standard description of the appearance of kallikantzaroi, there are regional variations in how their appearance is described. Some say they have some animal parts, like hairy bodies, horse legs, or boar tusks, but one thing is sure they are smelly! There’s nothing more interesting than learning about folk and traditional stories about countries that you have visited or planning to visit. If you come to Athens during the holiday season you’ll have definitely lots of fun, but wintertime in general is a great period to visit us! 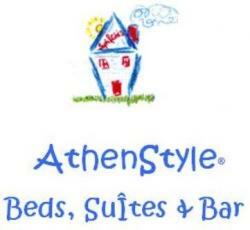 Book you stay at http://athenstyle.com/, and with our Winter Deal book three days in a row and get a discounted price!